The Devon Bronze lays a Brown egg. It has been bred for high yields in free range environments but is equally suitable for domestic back gardens, they’re very adaptable. 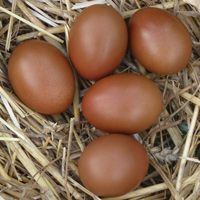 She is a brown egg layer and will supply about 240 eggs in their first year. It will also lay steadily through the winter months. The Devon Bronze lays a Brown egg. 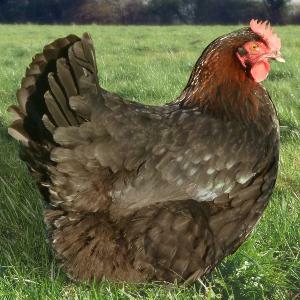 It has been bred for high yields in free range environments but is equally suitable for domestic back gardens, they’re very adaptable.She is a brown egg layer and will supply about 240 eggs in their first year. It will also lay steadily through the winter months. 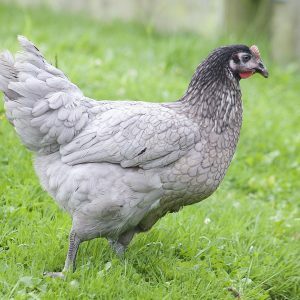 Having The whole Trio consisting of the Devon Blue, the Devon Bronze and the White Leghorn is and ideal opportunity to have your own niche market egg factory in your back garden. 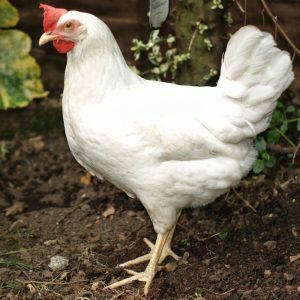 We can’t offer an absolute guarantee but generally, given correct management and conditions, you can expect fifteen eggs per week from the trio. You’ll also know they’re welfare friendly because they’re laid by your own hens. These hens are vaccinated against Coccidiosis, Mycoplasma, Marek’s Disease and Infectious Bronchitis and have been regularly wormed.